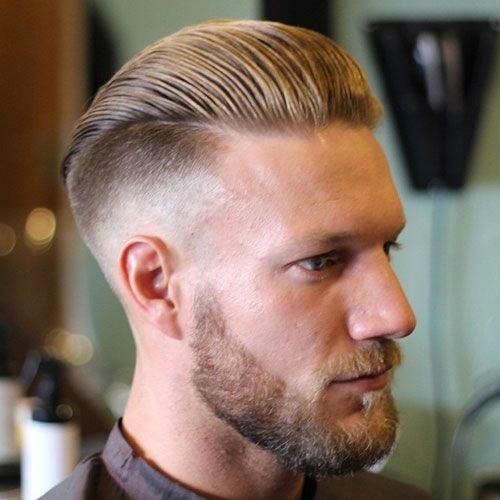 An undercut fade adds a modern twist to a man’s hairstyle. 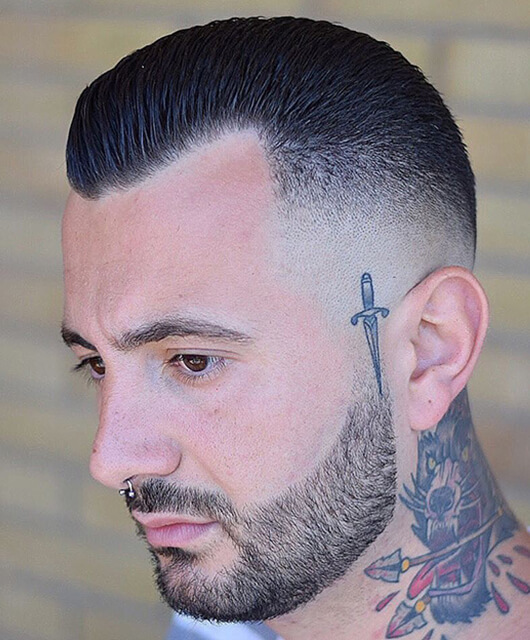 It is characterized by a sharp cut that is very similar to a high fade that you can slick back, wear as a pompadour or even create the illusion of a Mohawk. There are different types of undercuts, some are modest and some will turn heads. Check out these 28 undercut fade haircuts and choose one that will suit your style. Pompadour hairstyles are sometimes mixed with an undercut to play up the drama of voluminous hair. 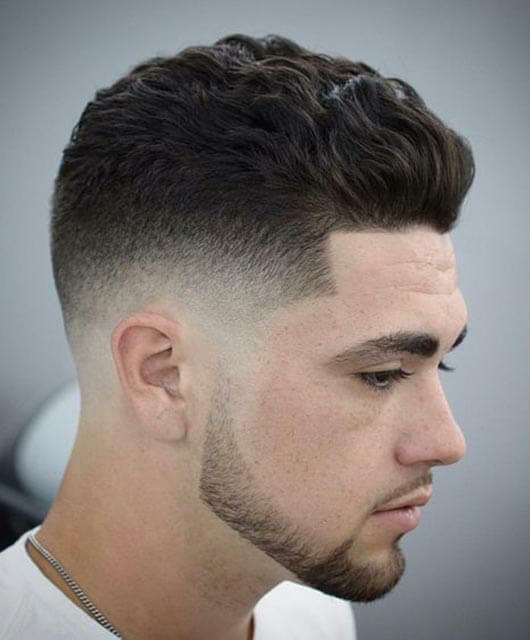 While a low fade softens the look a bit, the sharp cut makes the look more intense. By styling a pomp, you can get a daring undercut and a more relaxed top section. The top hair is 2-3 inches long and requires some hair gel to keep it in place. This slick back hairstyle blends well with the low fade. Distinctive and well-polished, the hairstyle features a sleek top with ample volume and a low fade undercut. Perfect for men with straight hair, this style is great for formal or informal occasions. 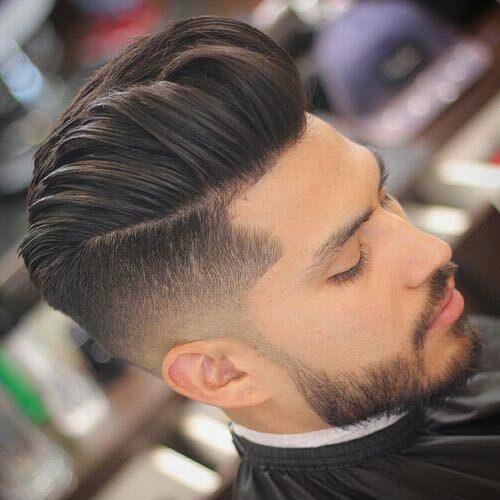 To get this style, you’ll need some pomade or hair gel for maximum slickness. This is a comb-over type of hairstyle that can look like a Mohawk or a regular comb over. 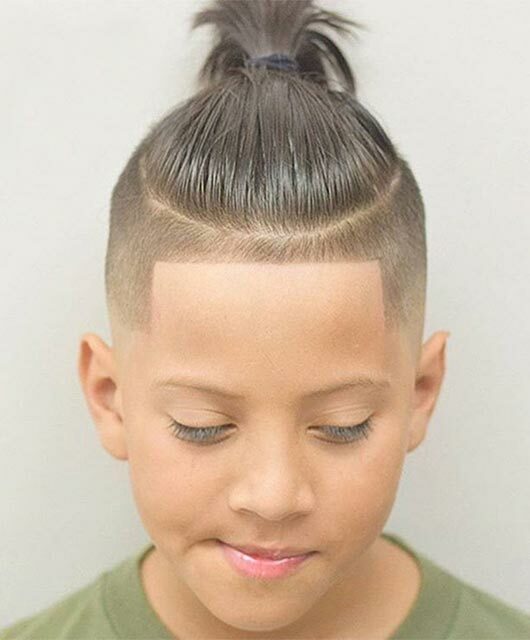 The right side has a disconnected undercut fade, while the left has a side part. 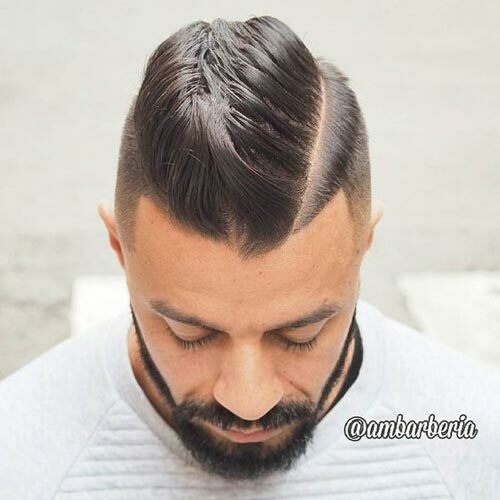 Men who want a unique look can get it by creating a shaved side part to separate the undercut from the top hair. You can also add some highlights to the tips of the undercut for a bohemian effect. 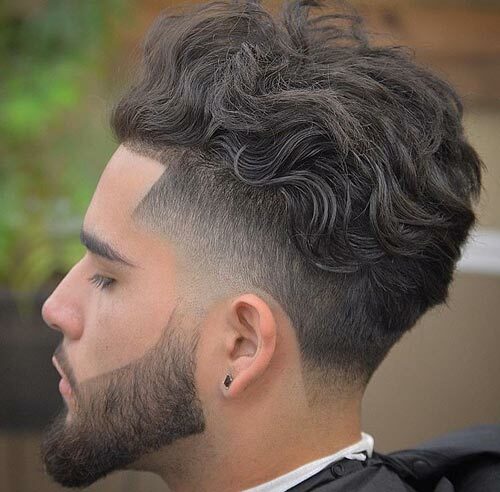 Wavy hair can also be used for a high top with a stylish low fade. 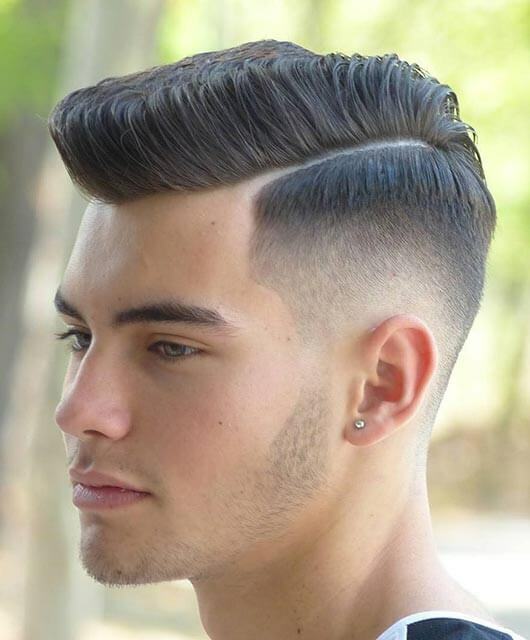 This hairstyle features an undercut fade that extends from the sides to the front of the hairline. Although the model has wavy hair, any type of hair texture will work for this look. Just be sure to keep the top hair long enough to provide balance to the overall look. 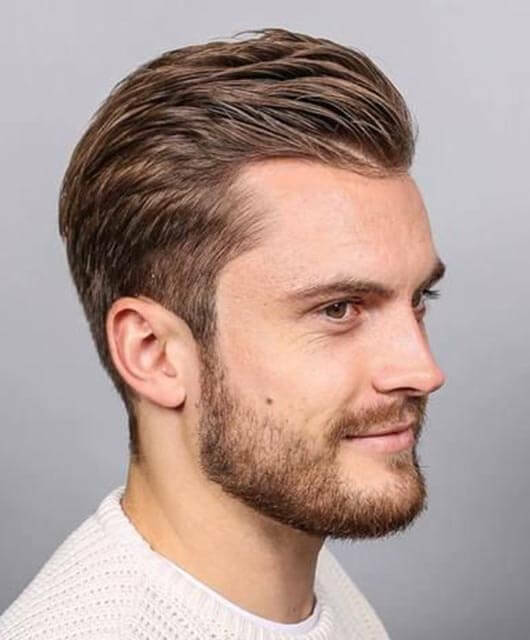 A faded undercut involves a gradual reduction of the hair from long to short, but a disconnected undercut is a sharp departure from the longer top hair. 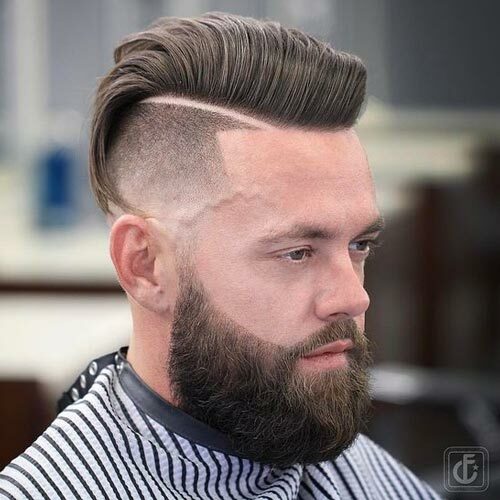 This version has a deep sideline between the combed hair and the undercut fade. Finish this look with a smooth comb-over to get a mix of modern and classic.